What Can We Do to Fight for Traditional Values? 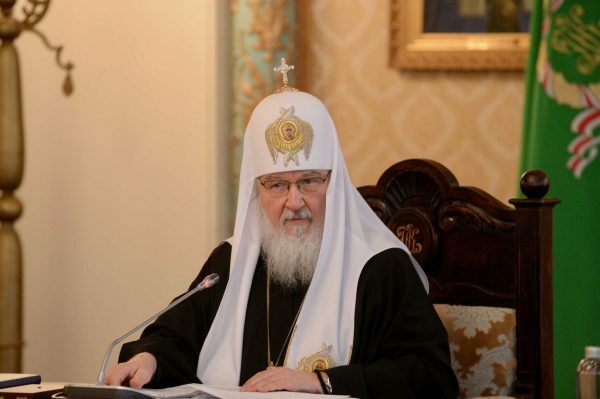 Moscow, June 20, Interfax – His Holiness, Patriarch Kirill of Moscow and All Russia, points to UN Secretary-General Antonio Guterres to possible catastrophic consequences of giving up moral norms, especially traditional family values. “There is no law that can stop people who lost their human face, so preserving morality is condition for preserving peace on our planet,” the Patriarch said on Wednesday during his meeting with Guterres in Moscow. Speaking about moral crisis, the Primate of the Russian Orthodox Church said he was concerned with the family crisis. “Unfortunately, there is such a phenomenon as aggressive secularism, under its influence family relations are destroyed in many countries. The Russian Church spares no effort to back up family values. We are deeply convinced that survival of the human race depends on it,” the Patriarch pointed out.